Prague Express works specially for you. We are here to hear out your any wish. And not just hear it out, but also to do our best to realize it on conditions, most attractive to you. That’s why you will hardly ever hear us say “We don’t do that”, “That won’t work out” or “Unfortunately”. Unless, of course, you want to go to Vienna by tractor, or send a group of eight people to the Alps on a scooter. 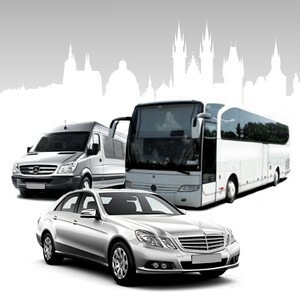 In any other case we will be happy to organize transportation by vehicle of necessary capacity and class, using cars and buses from our own car fleet or car fleet of our trusted partners. Up to 3-4 passengers: Ford Focus combi, Škoda Octavia, VW Golf Variant combi ,etc. Up to 8 passengers: Ford Transit, Hyundai H1, etc. Up to 15-16 passengers: Renault Master, MB Sprinter (r.v.2003), etc. Up to 20 passengers: MB Sprinter (r.v.2004), Iveco Daily. More than 20 passengers: – buses Isuzu, MB, etc. Up to 3-4 passengers: Škoda Superb, VW Passat, Mercedec-Benz E-class, BMW 5 series. Up to 6-8 passengers: VW Transporter, Mercedes-Benz Viano, Mercedes-Benz Vito. Up to 20 passengers: MB Sprinter (year of prod. 2013). More than 20 passengers – buses MB. Check out our affordable prices or go straight to online booking.